Wow! Summer is in full swing with camping trips, museum workshops in the community, and general spending time with the family. Needless to say, I have not done much writing about knitting. But I have been knitting, just a lot of in-progress stuff that is too boring to blog about. But, today I finally had a day to sit and organize and photograph. 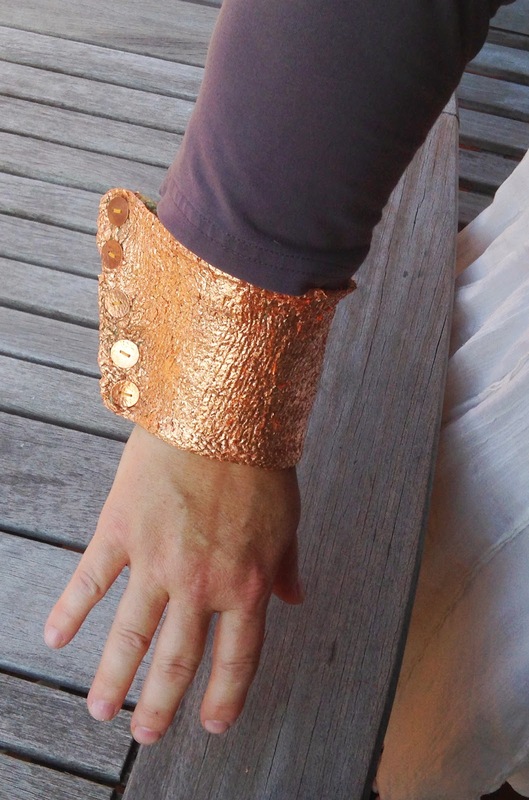 So, I finished up the images and pattern for the Bingham Cuff. They are not the best photographs and this is not my favorite project but I really liked experimenting with the copper leaf. 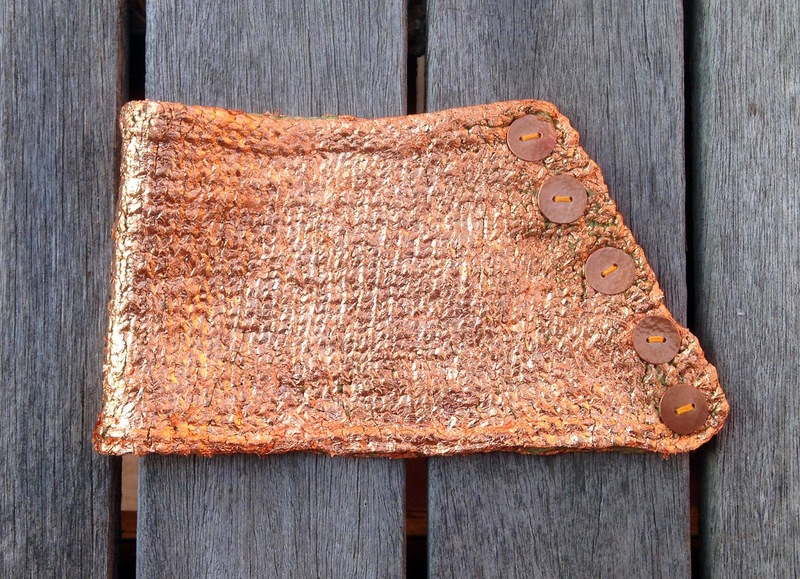 And, maybe it will inspire other metal leafed knitting projects. I think there are a lot of possibilities. 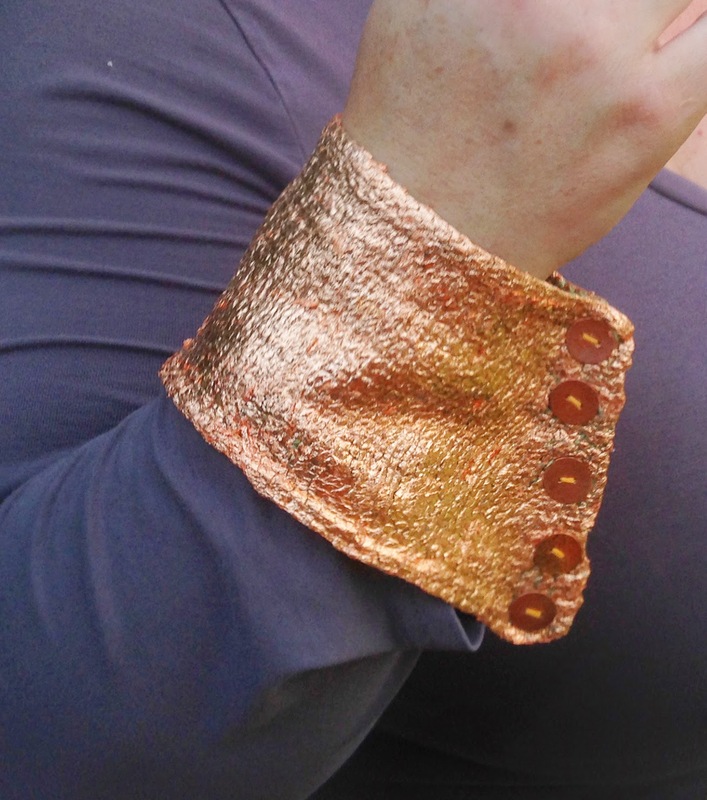 As you can see in the finished photographs, the cuff kind of looks like a superhero accessory. Like I am Wonder Woman or something. I made the pattern free again because I am not 100% sold on the design as being wonderful. Perhaps others can tweak it to see what they come up with. Coming up very soon, I am bit by the inspiration bug again after working a family day at the Spiral Jetty on Saturday and finding some amazing salt crystals!